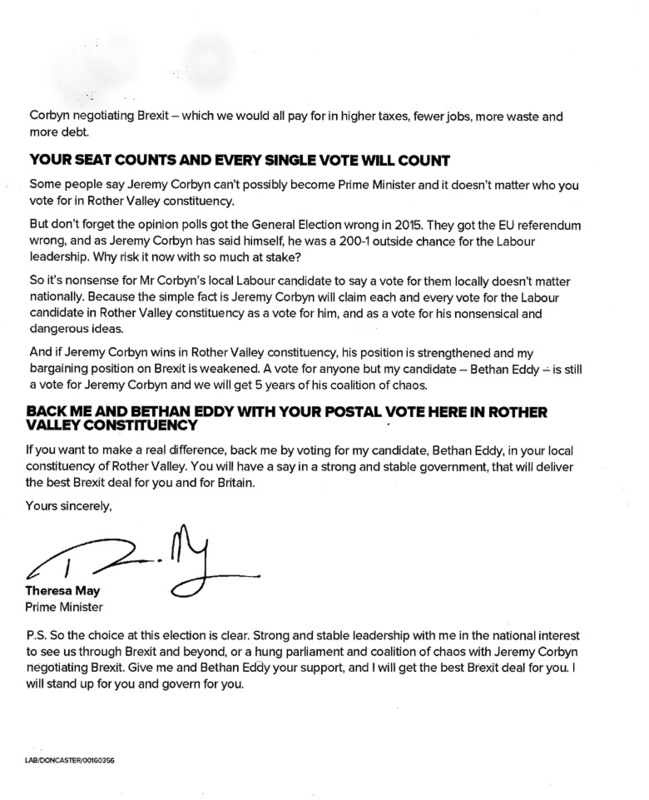 This entry was posted in General Election 2017 and tagged Bethan Eddy, Conservative, Rother Valley Constituency by Rik. Bookmark the permalink. 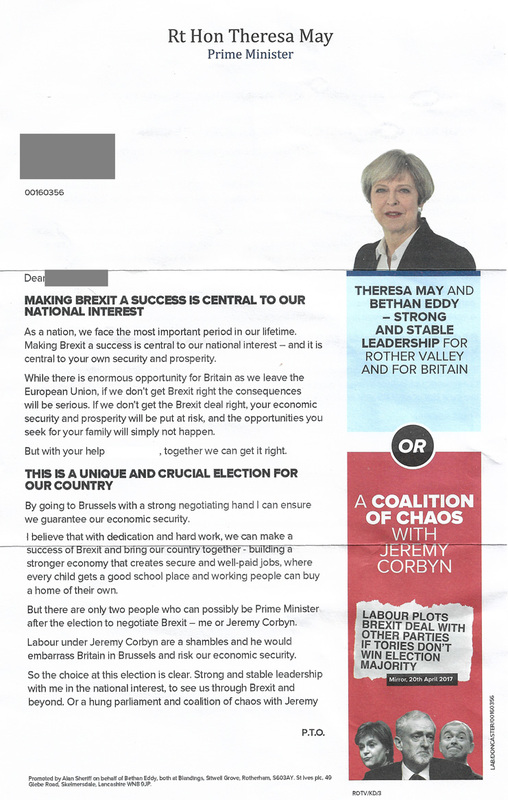 ohhh look, A leader of a party on their Party leaflets, note Jezza is so popular within his own Party that they avoid even talking about him, let alone put him on their Election leaflets. Not had a leaflet form Sir Kevin Barron, you remember him, he is the one that pretends to live in Rotherham when in actual fact he lives in Derbyshire, near to Sarah Champion. A test of where you live used by some councils, is that you have to spend a least 4 nights a week at that place. Rother Valley voters are lucky. If you went by what party political literature has been delivered in Wentworth and Dearne you would assume Healey is looking to being elected unopposed. We know absolutely nothing about Bethan Eddy, her home address is 75 miles away. Theresa May fails to say a thing about what Bethan will do for us? Not seen any information from Bethan Eddy. Looking at her mother Amanda Solloway Derby North Tory Mp’s twitter account she voted to remain. Bethan was her office manager. What life experiences does Bethan Eddy have and how is she going to fight for us? The Tories are insulting our intelligence. Bethan’s father was a director of Compass debt management. I heard that and will share I see her mother got booted out in Derby North.